[162 Pages Report] The overall aliphatic hydrocarbon solvents and thinners market is expected to grow from USD 4.45 billion in 2016 to USD 5.13 billion by 2023 at a CAGR of 5.69%. Growth in application industries such as painting & coatings in emerging countries is projected to remain a key driving factor for aliphatic hydrocarbon solvents & thinners market growth in foreseeable future. The market has been facing increased challenges due to manufacturers switching to green solvents as they are more environment-friendly. Environmental regulations are one of the key restraining factors for the aliphatic hydrocarbon solvents & thinners market as these hydrocarbons contain several volatile organic compounds (VOCs) that are hazardous for the health and environment. Thus, the industry needs to make several changes in its products to meet the changing demands. The base year considered for the study is 2015, and the forecast has been provided for the period between 2016 and 2021 as well as 2016 and 2026. The Asia-Pacific region has many emerging economies such as China and India. This region is the largest consumer of aliphatic hydrocarbon solvents & thinners. The emerging countries are witnessing an increased rate of car ownership with the rise in purchasing power of the middle class. This phenomenon has been helped by improving road infrastructure in these regions. The environmental regulations related to solvents are also not strict in this region, making it lucrative for manufacturers to produce and sell automotive solvents in the region. China, Japan, and South Korea have a high demand for marine coatings. During this research study, major players operating in the aliphatic hydrocarbon solvents & thinners market in various regions have been identified, and their offerings, regional presence, and distribution channels have been analyzed through in-depth discussions. Top-down and bottom-up approaches have been used to determine the overall market size. Sizes of the other individual markets have been estimated using the percentage splits obtained through secondary sources such as Hoovers, Bloomberg BusinessWeek, and Factiva, along with primary respondents. The entire procedure includes the study of the annual and financial reports of the top market players and extensive interviews with industry experts such as CEOs, VPs, directors, and marketing executives for key insights (both qualitative and quantitative) pertaining to the market. The figure below shows the breakdown of the primaries on the basis of the company type, designation, and region considered during the research study. The aliphatic hydrocarbon solvents & thinners market is highly fragmented with a limited number of tier 1 companies in the market. 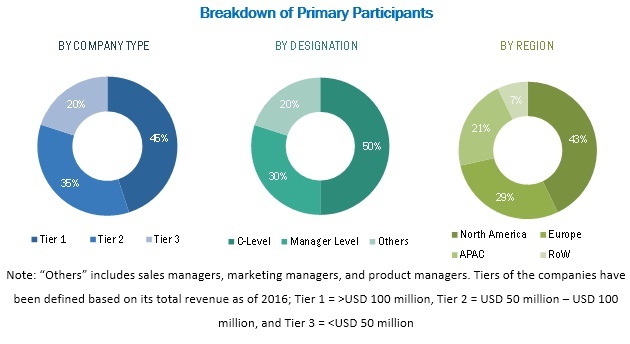 The key strategies adopted by the players to achieve growth in the aliphatic hydrocarbon solvents and thinners market are new product launches, acquisitions, and expansions. With many global and local players, the aliphatic hydrocarbon solvents and thinners market is very competitive in nature. 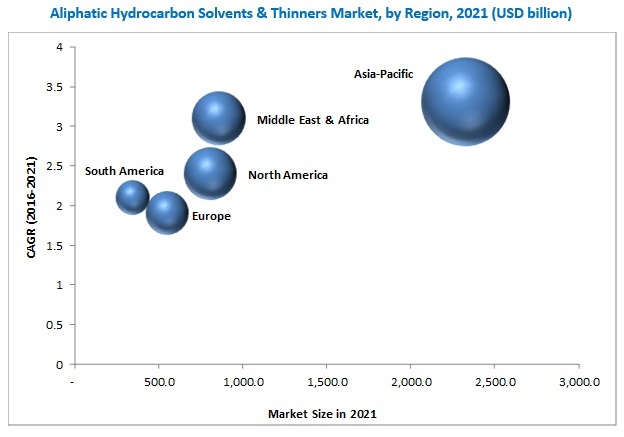 Royal Dutch Shell Plc, Exxon Mobil Corporation, SK Global Co. Ltd., Calument Speciality Products Partners, and Recochem Inc., are some of the key players in the global aliphatic hydrocarbon solvents & thinners market among various other players. In December 2015, Recochem integrated its industrial cleaning and degreasing products segment with a new product line of RECOTUFF industrial cleaners & degreasers. This is a new range of blended hydrocarbon and water-based formulas that are biodegradable and utilize the newest solvent technology and surfactant. In January 2014, Recochem purchased the Zip-Strip premium paint & finish remover line of products from Absolute Coatings Inc. Since January 6, 2014, blending, packaging, and distributing of Zip-Strip products is done by Recochem Inc. whereas manufacturing capabilities are provided by Absolute Coatings. In September 2014, Exxon Mobil Corporation expanded its specialty hydrocarbon fluid production capacity in Singapore. This expansion strategy helped the company address the increasing demand of hydrocarbons in this country. What are new application areas which the aliphatic hydrocarbon & thinners companies are exploring? The overall aliphatic hydrocarbon solvents and thinners market is expected to grow from USD 4.45 billion in 2016 to USD 5.13 billion by 2023 at a CAGR of 5.69%. Replacement of turpentine by mineral spirits, high growth of paints & coatings industry, and growing penetration in the Asia Pacific region are the key factors driving the growth of this market. Globally, there are a variety of aliphatic hydrocarbon solvents and thinners which are being consumed globally, of which the preference of these solvents depends on various factors such as solvency, evaporation rate, boiling point, viscosity, and surface tension. Aliphatic hydrocarbon solvents and thinners can be used to dissolve a substance (solute) in it, thereby forming a solution. Apart from this, it is also used widely to suspend and carry a particular material. The aliphatic hydrocarbon solvents and thinners market has been segmented, on the basis of type, varnish makers & paints, mineral spirits, hexane, heptane and others. The market for varnish makers & paints is expected to grow at the highest CAGR between 2016 and 2021. Varnish makers & paints and mineral spirits are widely used as these solvents can be used with many alkyd and oil type paints, enamels and varnishes which help in providing good finish to the products. The economical and cost benefits of mineral spirits have led to the replacement of turpentine in various end user industries. On the basis of application, the aliphatic hydrocarbon solvents and thinners market has been segmented, into paints & coatings, cleaning & degreasing, adhesives, aerosols, rubber & polymer, printing inks, and others. The market for paints & coatings is expected to grow at the highest CAGR between 2016 and 2021. Globally, there is a high demand for paints and coatings majorly due to the growing building & construction industry, especially in the developing regions. The aliphatic hydrocarbon solvents and thinners market in Asia Pacific is expected to grow at the highest CAGR during the forecast period. The major market driver is the rising demand from paints & coatings application segment. The absence of stringent regulations in the region, has led to an extensive usage of aliphatic hydrocarbon solvents and thinners, the use of which is restricted in other regions such as Europe. The paints & coatings industry is the largest consumer of aliphatic hydrocarbon solvents & thinners. It is very important for the paint and coatings manufacturers to select the right correct type of solvent in order to thin or clean up a coating. Aliphatic hydrocarbon solvents & thinners are widely used in the adhesive and sealant industries especially for hot-melt adhesive, pressure sensitive adhesives, packaging adhesives, bookbinding adhesives, wood adhesive, adhesive tape, glue sticks and labels, and so on. Aerosols are substances which are usually stored under pressure and then it is released in air as suspension particles. The solvents are used to dissolve solids or liquids especially for cleaning. Aliphatic hydrocarbon solvents & thinners are widely used by the rubber industry. They are used for tire rubber compounding, compounding of other rubber products such as shoe sole, shoe heel, flooring, rubber belts, rubber tube, and light color rubber. Aliphatic hydrocarbon solvents & thinners are used to dissolve the binders of printing inks. They are also used in printers, to adjust the viscosity of ink to the printer's requirements. The solvents used in printing inks include mineral oil, other aliphatic and aromatic hydrocarbons, ketones, esters, and alcohols. What are the upcoming industry applications for aliphatic hydrocarbon solvents & thinners? Growth in application industries such as painting & coatings in emerging countries is projected to remain a key driving factor for aliphatic hydrocarbon solvents & thinners market growth in foreseeable future. The market has been facing increased challenges due to manufacturers switching to green solvents as they are more environment-friendly. Environmental regulations are one of the key restraining factors for the aliphatic hydrocarbon solvents & thinners market as these hydrocarbons contain several volatile organic compounds (VOCs) that are hazardous for the health and environment. Thus, the industry needs to make several changes in its products to meet the changing demands. Key players in the market include ExxonMobil Chemical (U.S.), SK Global Chemical Co. Ltd. (South Korea), Royal Dutch Shell Plc (Netherlands), and Calumet Specialty Products Partners (U.S.), among others. With many global and local players, the aliphatic hydrocarbon solvents and thinners market is very competitive in nature. 11.3 SK Global Chemical Co. Ltd.
11.10 W.M. Barr & Company Inc.